Another great shot from Marina Del Rey in the Bronx, NY. How I love this place. I’ve been taking great wedding photographs here for years and the experience never grows old. You will see many wedding pictures from Marina Del Rey here on my web site and you can see many more in my East Northport, New York wedding photography studio. Every square inch of this venue is beautiful...from the magnificent lobby, to the incredible ballrooms, to the outdoor gardens and ceremony areas, to the dock pictured here and to the lawn which affords a backdrop of the Whitestone Bridge and the NYC skyline beyond. I love the casual, candid feel of this photo...the bride and groom are strolling along the dock, the groom relaxed with a cocktail in hand, and the Marina Del Rey Yacht docked in the background. 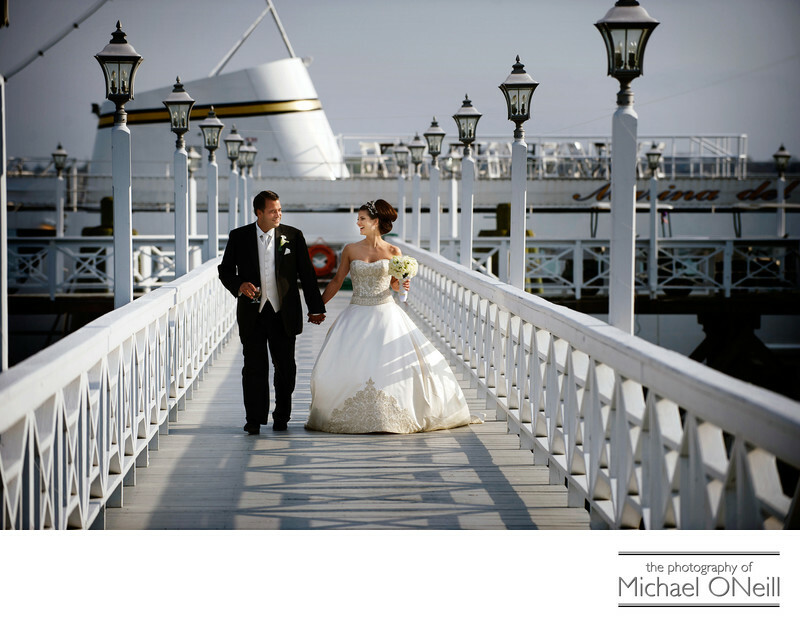 Many Long Island brides and grooms cross the Throgs Neck Bridge to host their wedding celebrations at Marina Del Rey. A lot of them bring me with them to create their amazing wedding photos. If you are one of those special couples give me a call. I’d love to cross the bridge with you and work with you on some awesome wedding shots of your own.